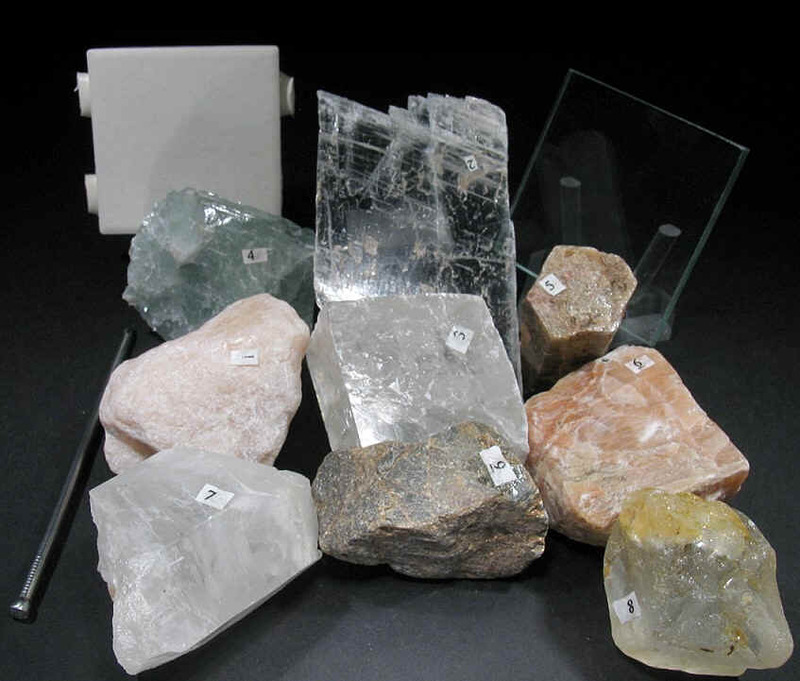 Geoprime's Teacher version of the Mineral Hardness Test kit. E-mail: xlmine@geoprime.com or call 760-949-3077. Large numbered samples of Mohs 9 hardness scale minerals. Teachers love these! Glass plate, streak plate, and nail also included. Booklet. MHTK-TCHR. $24.95. 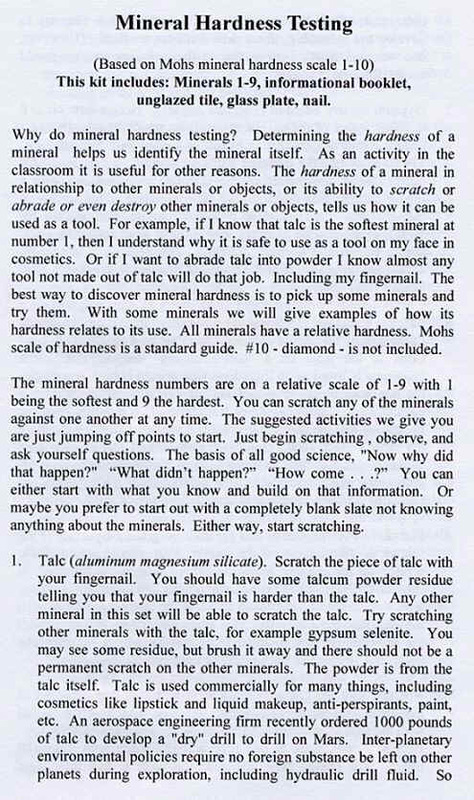 Booklet on hardness testing included in Teacher version.